In the mood for a salad!? 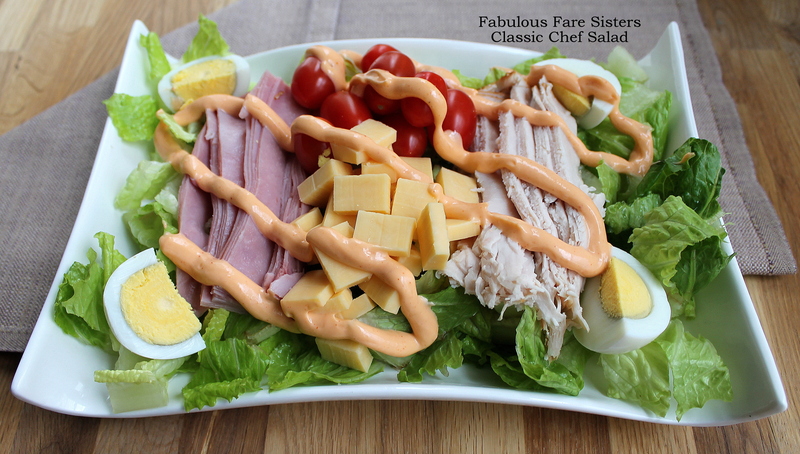 As I’ve mentioned quite a few times, I’m a huge fan of salads…here’s a classic Chef Salad that’s sure to please! 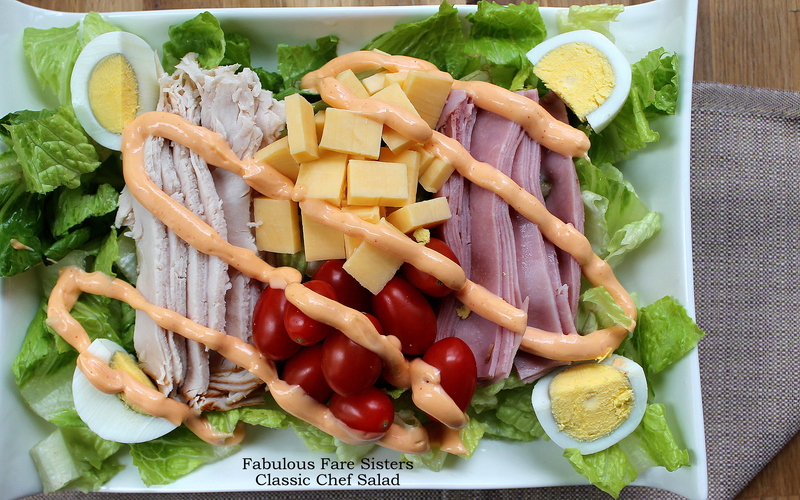 On a platter layer desired amount of Romaine, ham, turkey, Gouda, cherry tomatoes and hard boiled eggs. In a small bowl whisk the mayonnaise with the French dressing. Pipe onto Chef Salad and eat. Serves two. Visit our Fabulous Fare Sisters Facebook page…Like us on Facebook. You can also check us out on Pinterest. Come join us in our food adventure! Yummy! This salad seems so mouth-watering, Linda! Great ingredients! Healthy and yum! Thanks for sharing! More yummy salads! I love a filling salad, thanks for sharing! I want one now, going to go get the ingredients and make this for lunch. I love French or Russian dressing on a chef salad. Yum! !